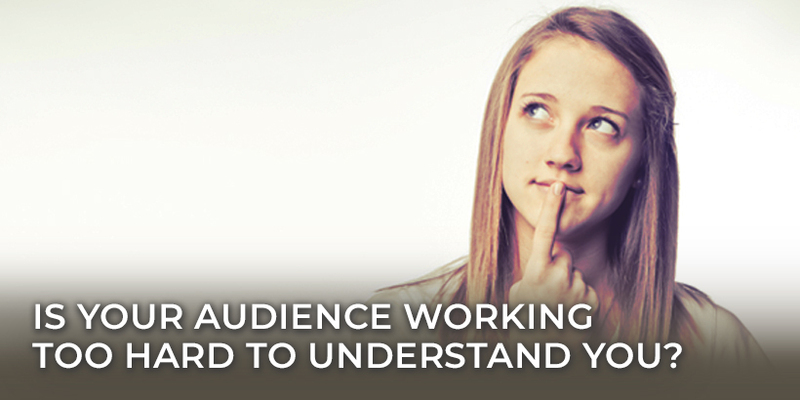 Is Your Audience Working Too Hard to Understand You? Nobody would be surprised if a pastor kept a Bible dictionary open while reading a theological commentary. When you read highly academic texts, you need tools to help you understand complex terms that the author doesn’t take the time to explain. But marketing isn’t academic, and your audience shouldn’t have to hop over to Google or break out Merriam-Webster to understand your content. And they’re not going to–they’re just going to stop reading. The problem isn’t that your audience will struggle to understand. It’s that they’re not going to bother trying. Simple language is the key to great content. But when your industry has its own unique vocabulary and complexities, how do you balance the need to keep things simple with the need to demonstrate your expertise or fully explore your niche? These three questions will help you decide if you’re making things too complicated. This is the first question you should ask when creating content. (And it’s where outlines come in handy.) Deciding what your audience needs to know isn’t as simple as identifying your main point. That’s just what you want to say. If you want your audience to follow your writing, you need to think about what they need to know in order to understand you. Make a clear path to your main point so that your readers don’t stumble right over it. Is there a problem they need to clearly understand in order to see the value of your solution? Are there jargony terms they need to be familiar with? Did you define them? Are you assuming they already have experience in your field, or that they’ve read another resource? There are bound to be industry experts among your audience. But even when you’re exploring advanced nuances within your niche, you need to write content that non-experts can follow. You don’t want potential customers to feel like they walked in on a college class halfway through the semester. Nobody has to read your content. So write each piece as if it’s someone’s first encounter with your brand. What doesn’t your audience need to know? Sometimes when you’re trying to be thorough and explain everything, you wind up going on tangents. You introduce new ideas or terms that don’t directly relate to your main points. You might feel like you’re helping someone get a fuller picture of your topic or understand what you can do for them, but the reality is: if the content isn’t absolutely necessary, it doesn’t belong there. The extra ideas, vocabulary, and anecdotes are just getting in your audience’s way. This is another area where an outline really helps. If you can identify right off the bat what your audience needs to know, then it’s a lot easier to pull out the ideas and thoughts that stray too far from your outline (assuming that they aren’t helpful to your reader). You might even find that these “extras” are worthy of their own dedicated content. It’s hard to spot this in your own writing. Especially when you’ve spent years refining your ability to write more like a textbook. 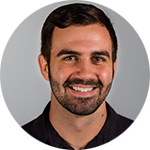 An editor can help you find paragraphs, sentences, or phrases you need to simplify, but if you don’t have one, ask yourself: “How would I explain this to an intern?” Or an entry-level employee? Or a kid? Forcing yourself to read your writing as if you’re someone else—someone with less knowledge of your material—helps you fill in the gaps in your content and get at the root of what you’re really trying to say. Your audience will thank you. And they’ll show it by actually reading your content.